Canada add $12 per year, Foreign add $15 per year for print subscriptions. T-Shirt offer valid in US only. Your subscription will continue unless you ask us to stop. Each year, you'll receive a reminder notice for the low renewal rate then in effect; you will then receive an invoice, or your credit card will be charged this amount. You may cancel at any time and receive a refund on all unserved issues. Click here to receive bonus content from Classic Motorsports via email. By submitting your email address, you consent to receive emails from Classic Motorsports and/or Grassroots Motorsports. Don't worry - we'll never share or spam your address. 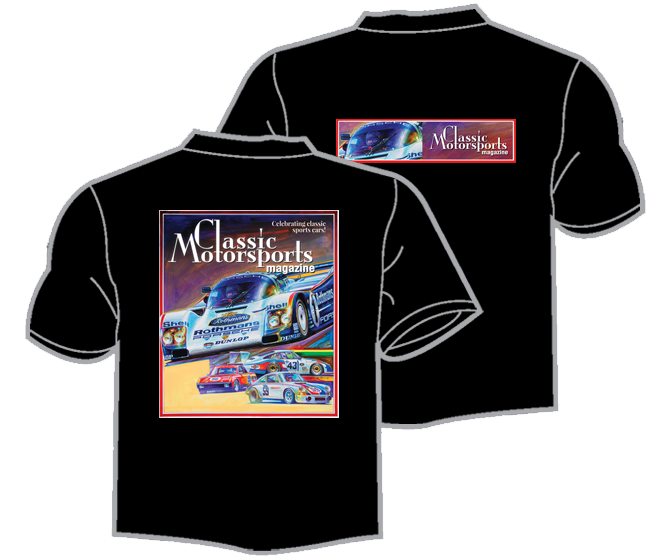 Classic Motorsports is published 6 times per year. Cover price is $6.99. Note for Florida Subscribers: A 6% tax will be added to your total at the time of payment.